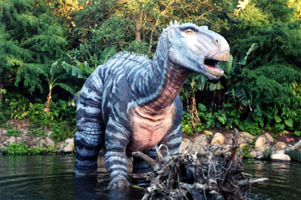 April Trip Recap: Disney's Animal Kingdom's 10th Anniversary, Epcot's Flower & Garden Festival, Aquatica, Cypress Gardens and More. Kingdom. It did not disappoint! 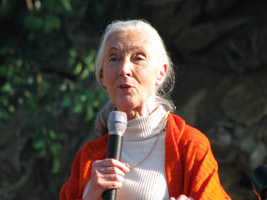 Just as I witnessed on the opening day, Joe Rodhe and Jane Goodall were a large part of the opening activities. 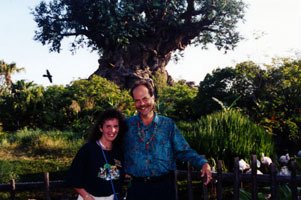 Both Joe and Jane spoke eloquently about the park, and Joe also gave a wonderful presentation later in the Theater of the Wild. 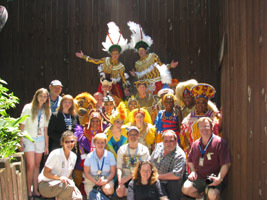 I was later treated to a VIP viewing of the Lion King show, complete with a meet with many of the performers. What a great day! Thanks again to everyone at WDWCelebrations, It was a pleasure to meet all of you and I look forward to the “World Wide Weekend” in September! 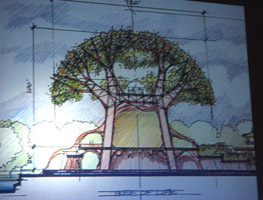 I also enjoyed 2 and a half full days of Epcot’s Flower and Garden Festival, taping for an upcoming DVD release. I am very excited about this project as I have not done anything like it before and it was challanging but fun to work on! 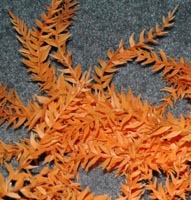 (If you want to see even more great photos on these topics please visit friends of this site MouseSteps.com). 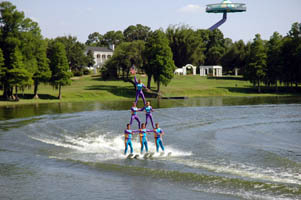 Not only did I spend time at Disney – Aquatica and Cypress Gardens helped fill out my schedule. 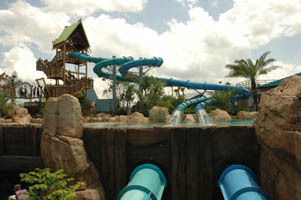 Aquatica is a great addition to the Sea World parks, and Cypress Gardens is a wonderful slice of old Florida (don’t miss the ski show!) The trip to Disney’s Wilderness Preserve didn’t go as planned – they were having a controlled burn that day, and the Preserve was closed. Please check back soon for more information on my upcoming releases. As always, if you want to request a future DVD idea, Photo Memory topic or comment on anything, just drop me a line at suggestions@JeffLangeDVD.com. 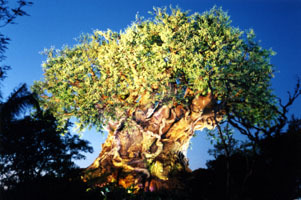 Travel Update: Animal Kingdom's 10th Anniversary, Epcot's Flower & Garden Festival, Sea World's Aquatica and Cypress Gardens. Anniversary on April 22nd – also known as the Wild Decade. 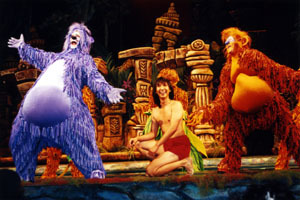 the original opening stage show, "Journey Into The Jungle Book". be a fun and exciting (and extremely busy) trip for me! Step back in time for a brief tour of Disneyland circa 1986. 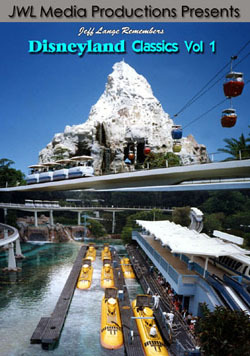 Your journey begins outside the turnstiles as the Mark III bubble top Monorail Red glides by. Scenes include: Main Street USA, Fantasyland, the Submarine Voyage, It’s a Small World clock displays and the Tomorowland mural by Disney Legend Mary Blair. Join Minnie Mouse as she makes her new music video. 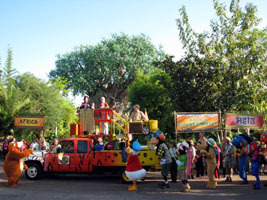 This vintage Disneyland parade also features Mickey as the producer, Donald as director, Goofy as the dance coach and Chip and Dale as the music directors. Sit back and enjoy this original uncut version of The Enchanted Tiki Room featuring Walt Disney’s first Audio-Animatronic performers. The show includes a cast of 225 singing birds, chanting totem poles, drumming tiki gods and your emcees, Jose, Michael, Pierre, and Fritz. Experience this original E-Ticket Attraction that was relocated from the 1964-65 New York World’s Fair. This all-time favorite attraction has been described as “The Happiest Cruise that ever Sailed Round the World”. 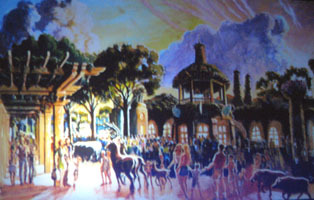 Walt Disney personally asked Mary Blair to employ her unique childlike art style in the design and concept of this classic ride. 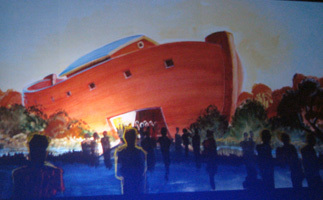 Immerse yourself in the last attraction that was personally overseen by Walt Disney. 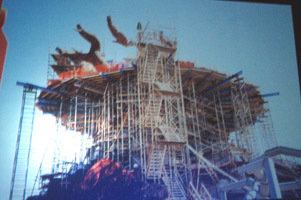 This is the original version of the beloved attraction, recorded before changes were made to the pirate chase scene and the addition of figures from World of Motion. Your adventure starts at the Pirates of the Caribbean exterior, continues through the queue and load areas, and includes all of your favorite ride scenes as originally presented! Relive these Disneyland Classics year after year or experience the magic for the first time by purchasing a copy of ‘Jeff Lange Remembers Disneyland Classics Vol 4’. 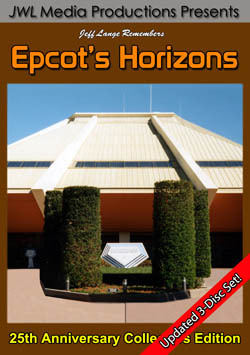 All New Release – Jeff Lange Remembers Disneyland Classics – Vol 4 DVD. 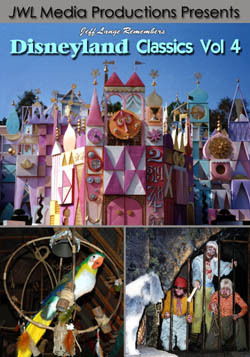 Jeff Lange RemembersDisneyland Classics – Vol 4 Released Today. 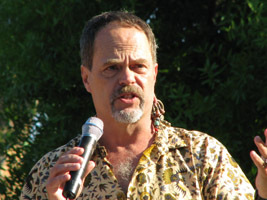 Windsor, Conn. (April 9th, 2008) -Today, JeffLangeDVD have released their latest title, Jeff Lange Remembers Disneyland Classics – Vol 4. 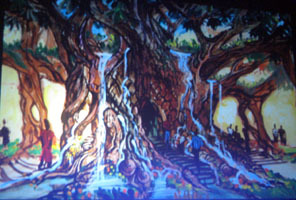 Immerse yourself in the last attraction that was personally overseen by Walt Disney. 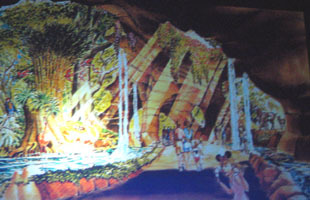 This is the original version of the beloved attraction, recorded before changes were made to the pirate chase scene and the addition of figures from Epcot’s World of Motion. 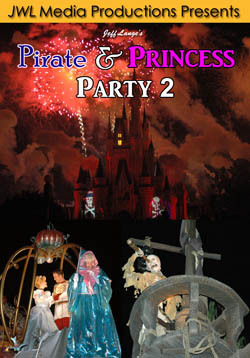 Your adventure starts at the Pirates of the Caribbean exterior, continues through the queue and load areas, and includes all of your favorite ride scenes as originally presented! Relive these Disneyland Classics year after year or experience the magic for the first time by purchasing a copy of “Jeff Lange Remembers Disneyland Classics Vol 4“. 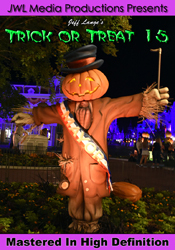 Click hereto browse all Disneyland titles. Upcoming Disney Fan Events – Production Update. Disney events that I plan to take part in! only 30 spots left for the event! More information is below. 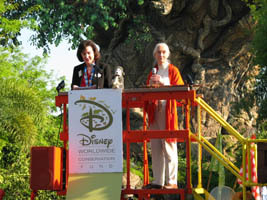 to announce its first Commemorative Event, "A Wild Decade,"
in honor of Animal Kingdom’s 10th Anniversary on April 22, 2008.
information has just been released (see below). what promises to be an exciting few days. are limited to the first 50 people who send in their registration. As always, our meal events promise to be a highlight of the Convention. our own members, as we bring back an event from a few years ago: "
Roque and his special presentation of "Great Moments with Mr. Lincoln"?). Get your "act" together and plan to be a part of the show! remember from the company founded by Walt Disney. all of our favorite attractions. 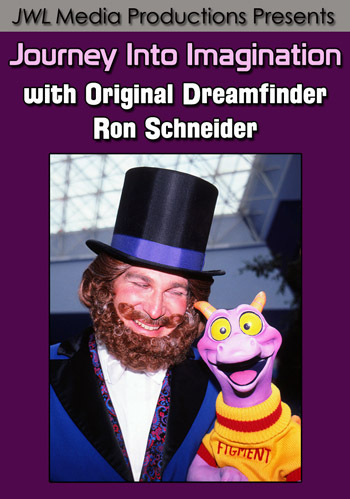 Our Luncheon with a Disney Legend will be held on Saturday, July 19th. 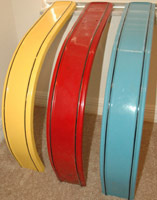 Disneyana Show and Sale in the country. 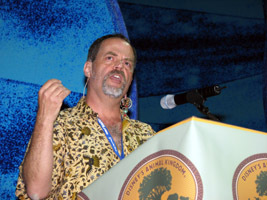 join us in California in July! Disneyland Classics 4 or WDW Tomorrowland Classics as well).